Answer these in your writing and you will be able to publish your own book in no time. If you want to get a proven 5-step plan to writing and publishing a book, sign up for our upcoming webinar here. Otherwise, keep reading to learn exactly why you want to answer all of these questions. 1) Who is the Market for Your Book? When you work with publishers, they will ask you this in a variety of ways. Essentially it’s the question that the owl asks in the deep woods. 2) What Are Your Readers Demographics and Psychographics? What’s really enjoyable for me is looking at the psychographics. These are the things going on inside the mind of the likely buyer. These are the greatest determinants of whether they are going to buy or not, and also the best determinant of whether a publisher will publish you or not. Creating a psychographic profile of your readers is important in selling your book to a publisher. What do your readers want to accomplish and why? A book I wrote is called Eat That Frog – 21 Great Ways to Overcome Procrastinating and Get More Done in Less Time. It was aimed at people who had too much to do and too little time, and knew that they were procrastinating on their major tasks. That book is now out in 38 languages and it’s sold probably six million copies on its way to ten million. That is because I identified a key need, desire, and problem that my demographic had, and then I offered to solve it with the subtitle. 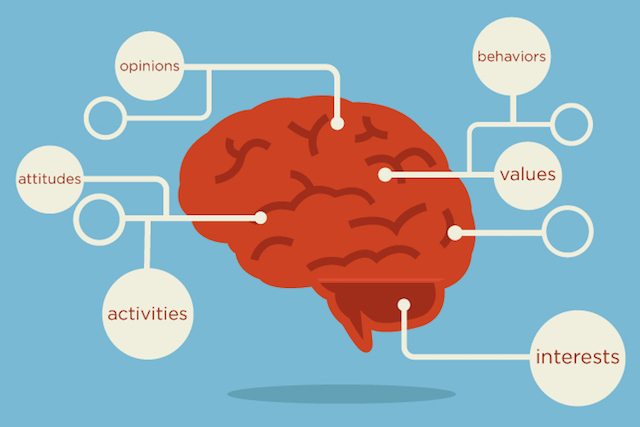 Before writing a book you need to identify these key psychographics as well. 3) Why Should People Read Your Book? Let’s talk about why you’re writing the book. When I was asked to write my first book Maximum Achievement which is now a worldwide bestseller, I was very clear why I wanted to write the book. I wanted to be able to share the ideas that I had been sharing in seminars in a written form. There is a rule about writing that I learned many years ago. You write because you cannot not write. In other words, you have a deep compulsion to write and get your words on paper. Very often I’ll write a book on a subject and then publish the book and never go back to that subject. This is because I feel my work is finished and done now. 4) How Are You Going to Help People? I think that if you want to write anything, it has to be because you want to help. You really have to have an intense desire to help. How are you going to help people? What is it that’s going to be in your book that will enable people to be better off as a result? What advice do you bring; what guidance, what counsel? What can you tell people that is really going to help them? 5) What Are the 3 Core Ideas of Your Book? Ask yourself what your three core ideas are, and of those three, what is the “core, core” idea? An example is my book Flight Plan. When I first wrote it, I had 21 ideas. They made me distill them down to 12, and then down to three, and then they would publish it. Whatever you want to do in life, take off. Make continual course corrections on the way to your goal. And number three is to persist. Never quit until you reach your destination. Once we got down to those three core ideas, we built the whole book around them and it sold hundreds of thousands of copies. So think about your three core ideas, and of those there is one “core, core” idea and two supporting ideas. 6) How Will You Get Their Attention? Today, people have more money than they have time. However, do you know what the scarcest resource in our society is? The scarcest resource in our society is attention. Getting people’s attention, especially getting enough of people’s attention to get them to read a book is very hard. Because especially in the internet age, people’s attention jumps from point to point to point. People are not reading as much, so you really need sharp pieces to your book. 7) Is Your Book Unique? There is a kind of a bugaboo in publishing: people will say, “I’ve got this incredible book and there’s nothing like it.” The publishers will tell you that there is no such book. There are hundreds of books that are similar to whatever book you could dream of writing. Your book can be unique because there is nobody else like you. Taking a completely new view on a topic can make it unique. Sometimes it can be unique because it deals with a breakthrough that nobody else has dealt with. 8) What Will the Readers Learn? What is it that readers will learn? These are the specific things you will impart. 9) Who are The Audiences for Your Book? The next question you need to address is who are the audiences for this book? I wrote a book called The Art of Closing the Sale. The audiences for that book are primarily people who work with either full or high commission income. They will see themselves as responsible for their actions and behaviors. So, they will buy a book that will help them to close more sales. It’s the same thing with your proposal. You have to ask yourself who the audiences for your work are. Then point out that there’s only been one book that’s ever been written on closing the sale, and it does not deal with the psychology behind the sale; it only deals with techniques and verbiage. So here the audience will be new age – people who are unaware of books that went out of print 40 years ago. These people are eager to learn how to deal with modern customers using modern no-stress, low-stress, no manipulation, easy, low-key techniques that enable them to get the person to make a buying decision. 10) What Are Your Competitive Books? You need to know what’s going on in your field. In fact, one of the rules is that if you go out and read the three bestselling books on any subject that you want to write on, you’ll get a pretty good understanding of what they are saying, and what they are not saying. If you are able to answer these 10 questions to any prospective publisher, you will be able to get your book published and on shelves anywhere you want. Click the button below to save your spot in our free webinar training. It will help you plan out your entire book, from concept to published bestseller.